Glenn Stok published five paperback books and has received a Lifetime Achievement Award from HubPages for his writing expertise. I have personally created and published five paperback books using the self-publishing methods that I'll explain in this article. I'll teach you how to self-publish your own book, including proper page layout, font usage, designing your cover and methods of distribution. I had published with Lulu.com and with Amazon's Kindle Direct Publishing (KDP), which was formally Create Space. They both are platforms for self-publishing and they have all the necessary tools to help make the job easy. Formatting the pages correctly can be done with a good word processor. I use Microsoft Word, which has the necessary features that help you create a "print image" of the pages of your book exactly as you want it to appear in the final printed form. I'll explain all this in detail below. Once you have everything done you can upload your book for publishing. There's no fee for this. You only pay when you actually decide to order a printed copy of your book. This is known as Print-On-Demand. CreateSpace has been replaced with Kindle Direct Publishing (KDP), which now provides combined tools for both paperback books and e-books. You can import your Microsoft Word document and all the formatting is recognized for a paperback book. As for Kindle, a new tool that makes it easy to create a finished manuscript is Kindle Create, a downloadable application. It’s available for both a PC and a Mac. This app makes things a lot easier to accomplish. For example, you can format text with styles and themes, build a Table of Contents, add, align and resize images, and much more. Microsoft Word is a great tool for creating a true print image of the pages of your book. It lets you set the page size, margins, fonts, font size, etc. So you can concentrate on writing your book and Word takes care of the formatting. The suggested font to use for the main text of your book is 12pt Times New Roman. Don't play around with using uncommon fonts as you may have trouble with printing. Some fonts don't reproduce as expected in the final print process. Headings should be larger. I use 18pt to 24pt depending on how much text is used in my headings. You can experiment with that to make your headings look pleasing to the eye. The text for headings should be a Sans Serif font. That means they are block letters. They are without (sans) the curvy lines (serif) like that of Times New Roman. Note that Serif is easier to read, as the curves tend to let the readers eye flow easier. But headings do not need this. On the contrary, you want headings to stand out. So use a "San Serif type" for headings. A good example is Arial, although you can use Tahoma or Verdana too. These are all very common and you won't run into any issues with it looking different in the actual printed book than it looks on your screen. 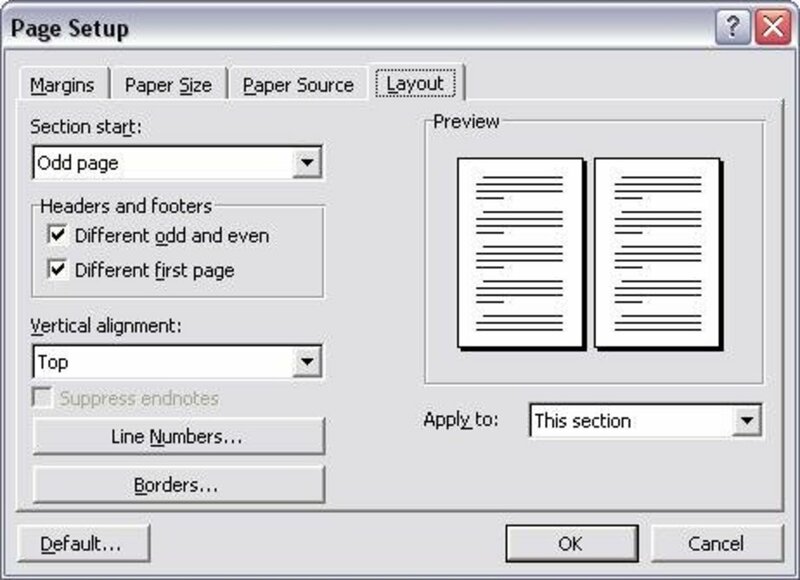 Page Setup is an important part of setting MS Word to format the pages properly to fit the size you plan for your book. The most common size for books to be sold by retail stores is 6" by 9". So I'll give you the specs for that. You want to have almost a one-inch margin on the top, bottom and sides. This white space allows for errors with cutting pages for binding as well as leaving room so that the text on your pages does not seem to become clustered. You also want to allow a little more room towards the spine. This is called the gutter and its purpose is to compensate for the spine when opening the book, especially in thick books. Otherwise the text may be hard to see near the spine without flattening out the book, which can cause damage to the binding. So how do you specify all this? In MS Word, click the "File" link and then select "Page Setup" from the pull-down list. You'll see all the fields for these settings as shown in the following screenshot image. In the above example, I have set all margins to 0.9" and I added 0.2" for the gutter. The header and footer can also be positioned. Since the top and bottom white space is almost an inch according to my settings, I allow the header and footer text to fall right in the middle of that space by setting it to be 0.5" from the edge as shown in this image. Make sure you set the checkmark for "Mirror margins." This will make it handle the gutter on the left or the right depending if it is an odd or even numbered page, respectively. Also apply the settings to the "whole document" so your settings are uniform throughout your book. You need to have a minimum of 32 pages for a 6x9 size book. The max is 740 pages. Other book sizes have slightly higher minimum page count requirements. But if you want to have global distribution for sale in retail stores you need to use a 6x9 book. So let's concentrate on that. If you are making a book for your own enjoyment, then the page positioning does not really matter and you can do what you want. But if you want to make your book available for distribution and possibly sell in bookstores, then you need to follow strict rules. There are specific requirements. Here’s a list. . . The total number of pages in your book needs to be a multiple of 4. So add blank pages if you don't end up with this. The last page needs to be blank on both sides to allow for retail markings that are automatically printed on that page. This can be counted as the last two pages. The first page is for the title only. The reverse of that page should remain blank. The next page is the description page, which shows the title and more info about the book, such as author name, publisher name, a short description, etc. The reverse of the description page is the copyright page. The layout of this is very important. I'll explain details below. Then comes the table of contents as a right hand page. This is optional and can continue on as many pages as required. MS Word helps place the proper page numbers in here for you when you use its tool. You may want to include a Foreword on the next right hand page. You may want to add an Acknowledgements Page after that, again on the next right-hand page. Finally, on the next right hand page you can start your content of your book. I like to start all chapters on a right-hand page, although this is not a requirement. I also like to stick with a rule of placing the book's title on the top of every even numbered page (left hand page), and the chapter name on the top of each odd numbered page, except for the first page of the chapter where you probably have it anyway. Notice how I checked off "different first page." That allows you to make the first page of each chapter different. I prefer not to display the chapter name in the title field on the first page of each chapter because I already have the name in big letters anyway on that page. Remember to use chapter breaks at the end of each chapter to make all this work properly. MS Word also can create an index for you. If you decide to include an index, this should be placed at the end of your book. The use of MS Word is not the subject of this discussion. And you may be using another word processor anyway. So I suggest you learn the features and use the power of the program you use to get the most advantage out of it. It'll be very much worth your time. 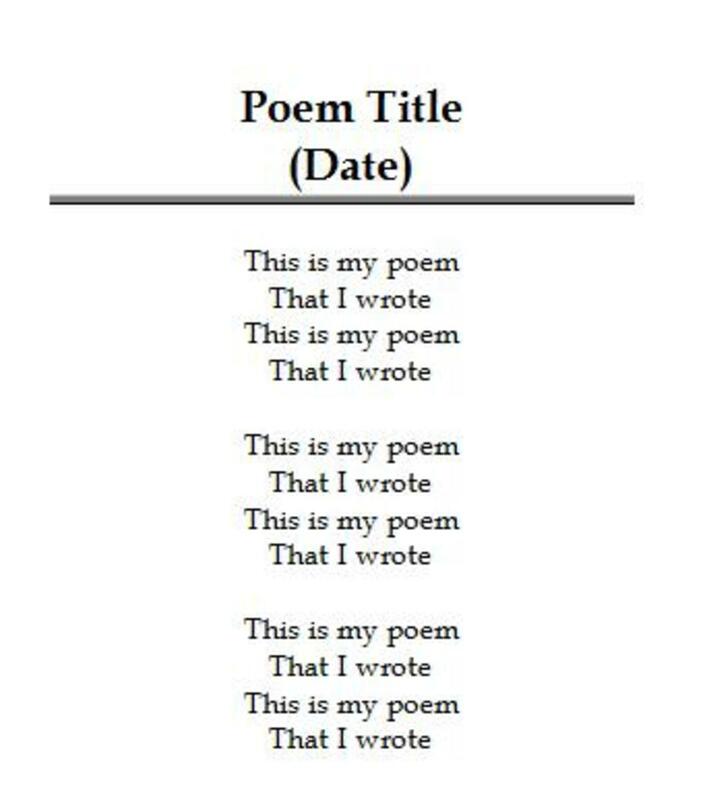 If you are creating a manuscript to send to a publisher, they usually have strict rules about double-spacing. Editors require that extra spacing to write edit comments. 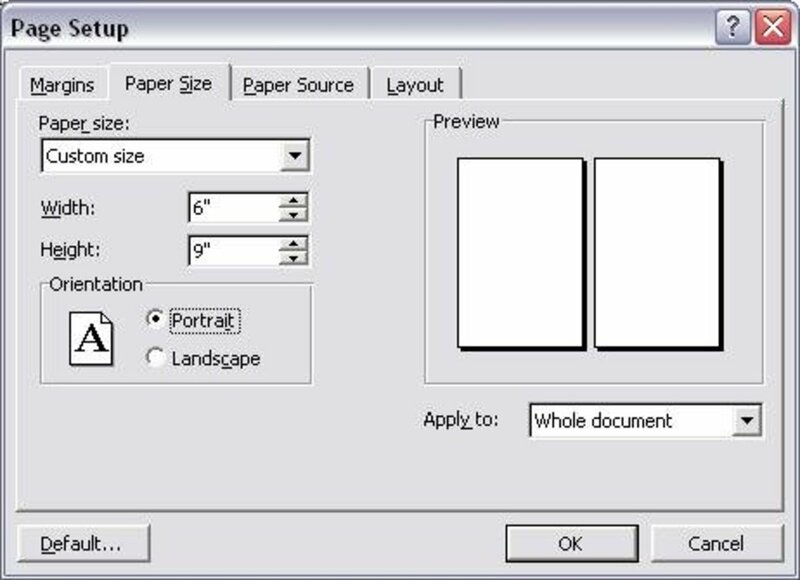 However, when you are creating your own print image of the pages, you need to set the line spacing as it will appear in the printed book. Standard line spacing for a book is 1.5. One can adjust the resulting number of pages by changing the line spacing. However, consider the fact that white space makes it easier on the eyes. So you don’t want to reduce the spacing too much. If you have a thick book and you want to control the cost, tighten up a little on the line spacing without going to an extreme that makes it hard to read. Thanks to a question from one of my readers in the comments, I added this info. Using my suggested format of margins that are almost one inch, 12pt fonts, and a 6x9 book, you should average about 280 words per page. You would have a book with 100 pages if you wrote 28,000 words. The number of words per page is highly variable. My book had a few pages with as many as 340 words. You can get more words on a page by making the margins smaller, but there are reasons for using the values I recommended. People find it easier to read when their eyes can rest. The extra white space helps. If you full a page from top to bottom and left to right with words, it becomes overwhelming. So leave the white space all around. If you have a huge book you may think that you want to use a smaller font to keep the cost down. The number of pages affects the cost. But keep in mind that the 12pt font also makes it easy to read. So judge wisely if you plan to use text with smaller fonts. The copyright page, which goes behind the description page and is a left-handed page, contains the copyright information. On top is the title. Below the title is your copyright notice. Below that you can list some tags that indicate what the book relates to. Below that is a short explanation of your rights and reproduction limitation. Below that is an optional Library of Congress control number. I suggest you apply for that, as I did with my book. You can apply for a Preassigned Control Number (PCN) at www.loc.gov/publish/pcn/. They explain the process of applying for a PCN on their site. Below that you should list your ISBN number if you already have it. When you purchase a distribution package from Lulu then will give you one and you need to go back and edit your book to include this information on your copyright page. At the bottom you should mention where the book is printed, such as “Printed in the United States of America” if you are using Lulu. 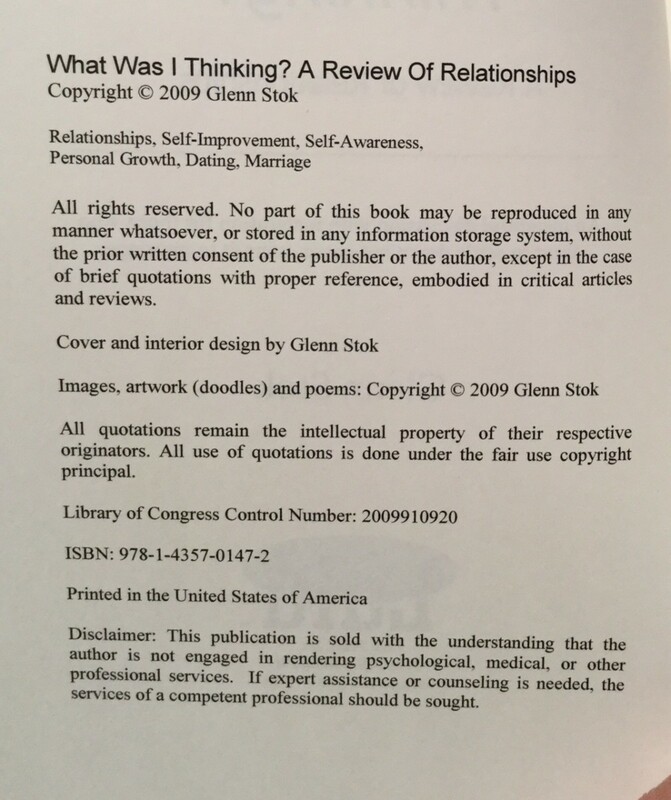 Below is the copyright page that I used in my book. You can simply follow the same layout and just replace everything with your own information. If you don't feel you are very good with artwork design, Lulu has online tools that help you create a cover. You can select from a library of sample art for your cover background design and then position your title, subtitle and author name where you want them to appear. You can choose the color and font of the text as well. You can also enter text to appear on the back cover and on the spine. They will put all this together to create the print image of the entire cover. KDP includes a powerful online cover designer. 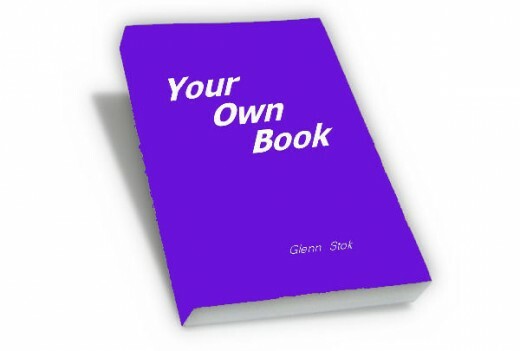 You can use it to make your own front and rear cover for your paperback book. You can upload your own image or select one from their content. Tools are built in to help format the text of the summary and author bio. Formatting of the title and subtitle is a breeze on the front cover. Easy placement of you author image on the rear cover is built in. The only thing I find that is awkward is the auto formatting on the rear cover. You need to pay close attention to the final setup and make adjustments before going on to the next step. If you are into designing your own artwork, you can create your cover with any good Paint Shop software and upload the front and back covers. That's what I did with my book "What Was I Thinking? A Review Of Relationships" shown at the left. I made my covers with "Jasc Paint Shop Pro Studio." Both Lulu and KDP help with completing the spine of your book. Based on the thickness of the book (number of pages) they automatically determine what font sizes you can use on the spine. They give you a choice of a few that will fit properly. Must be JPG, GIF or PNG. Must be 300 dpi or better. Add a quarter inch to allow for bleed. 1875 by 2775 pixels for a 6x9 book. May be color or black and white. Lulu has three options for the cover of your book, Paperback, Casewrap, and Dust Jacket. Paperback is soft covered and can have three kinds of spines. See below. Casewrap has the cover image printed right on the hard cover. A Dust Jacket Cover is a separate paper cover around the hard-covered book. Cover art is printed on the jacket. The jacket has flaps that wrap inside the front and rear covers. Short text info can be printed on the front and rear flaps. KDP offers two types of paperback covers. I discovered that glossy finish gets smudgy, so I prefer the Matte finish. Spines on a hard-covered book can have text printed on them, such as the book's title and author name. Lulu calculates the width of the spine automatically based on the number of pages in your book. There are three different types of spines that can be selected for a paperback book as listed below. Only the perfect bound books can have text printed on the spine. Perfect Bound - Glued flat spine that you can place some text on. Coil Bound - Useful for books that require opening flat. Such as work books. Saddle Stitch - Stitched thread holds book together. KDP does not have hard covered books. Their paperback books only have one type of spine, perfect bound. The title and subtitle is placed on the spine and you can change the fonts if you don't like the default. The size of the spine is calculated automatically based on the number of pages. If you have less than 100 pages, the spine is too small for any text. If you publish with Lulu and you want to make your book available on Amazon in addition to Lulu's site, the cost is a reasonable $25 to put your published book into what they call "marketREACH Distribution." You can also purchase "extendedREACH Distribution" or "globalREACH Distribution." ExtendedREACH Distribution lists your book in databases in the US and the UK. GlobalREACH Distribution makes your book available online on Amazon, Barnes and Noble, and other online book sites. GlobalREACH also lists your book with the Ingram Book Company, which allows any bookstore to purchase your book to stock their shelves. But you have to make your own efforts with promotion, such as getting book signings and distributing press releases. If you publish with KDP, your book will automatically be available worldwide through Amazon because they own that platform. However, you can control the territory. If you only want distribution in certain countries, you can specify the territories in the setup process. This would be necessary if you have copyright regulations that only apply to certain countries. If you do decide to purchase the ExtendedREACH or GlobalREACH Distribution with Lulu, you will have an ISBN number assigned. The cost of Lulu's various distribution packages kept changing over the years, so you need to check their site for the latest information. KDP, on the other hand, assigns a free ISBN number and provides worldwide distribution. The bar code for your ISBN number will automatically be printed on the back cover of your book. So leave room for it if you create your own cover. The ISBN is assigned by the U.S. ISBN Agency so your book is listed in Bowkers Books-in-Print. ISBN bar code is automatically placed on the rear cover. What Is the Cost of Printing Books? Everything you do to create your book on Lulu’s website or with Kindle Direct Publishing is free. The only charges are for ordering actual printed copies. Lulu also has a charge for purchasing one of the distribution packages described above. When you buy your own books you only pay printing charges, not your own royalty. Printing costs vary depending on the size of the book, number of pages, the type of binding, and the paper grade you choose. As an example, a 200-page 6x9 perfect bound paperback with Lulu, using publisher grade paper, costs $5.50 for a single copy. Pricing is similar with KDP. You should get a printed copy so you can confirm that you did everything right. If you don't want to spend any money you can just let other people buy your book. But I don't recommend that. It's important to confirm that everything looks correct in the actual printed copy. I bought a draft copy of my book each time I continued to improve it. I kept making changes after reviewing it because I didn't like how one thing or another turned out. So I repeated the process until I was satisfied with the final draft copy. You only pay the printing costs when you order your own copy. When other people order it they pay the retail price that you set, and you get a commission from the difference. You can specify the commission. Just don't be greedy or else the retail price will be too high and it won't sell. Lulu and KDP fulfill all your sales so you don't need to be involved with order taking and distribution. Do yourself a favor and proofread your manuscript before you waste money ordering your first copy. MS Word has a spelling checker, a grammar checker, and a thesaurus. So use them. Many times I discover that I don't catch my own errors. That seems to be a common problem for many of us because our brain already knows what it meant, so it "sees" the words as they were meant instead of what's on the page. So have a friend or two proofread for you. I actually paid for a few printed copies at first to hand out to good friends so they could proofread an actual paperback copy for me. I recommend you do the same. They even made notes in them that turned out to be very useful feedback. There is a big difference between publishing articles online and publishing a printed book. You can make changes and even add text when you publish on sites such as on HubPages. But obviously you can't do that with a book. So you've got to put more effort into getting it right before you pull the trigger by clicking the "publish" button. I suggest that you print a sample of your book for yourself. Check it. Review everything. 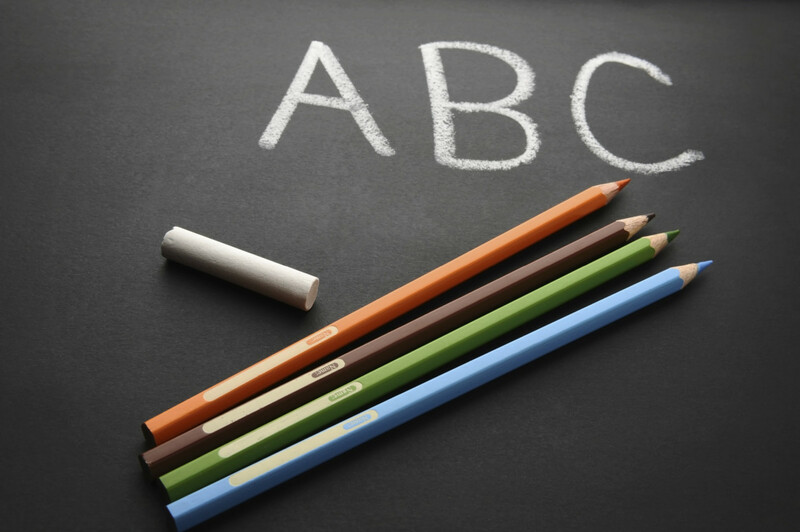 Not only proofread for spelling and typos, but also pay attention to the general way it looks to the eye. You can make changes and upload a new file. Then order another sample and review it again. I've done that several times, over and over, uploading changes each time. Trust me, it's worth it. Because once you finalize it and publish your book, you can't make changes anymore. So that's it. Now you know everything to get your book completed and published. When you put effort into the process it will pay off for all the work you've already done writing your book. You said in your article that the total number of pages in a print-on-demand book needs to be a multiple of four. Why is that important? Printing is done as four pages in one press. Then they are cut into four separate pages. This is why your document needs to be a multiple of four. If you end up with something less than a multiple of four pages, you need to add the appropriate number of additional blank pages. I don't have MS Word. My manuscript is in Google docs, and I understand that when downloaded, it has a standard Word extension .docx. Would this be okay to upload for self-publishing? Also, does your article apply to e-books or just standard hard copies? As long as the file is a standard Word file with the .docx extension, then it will be readable by the system as an MS Word file when you upload it to the platform. 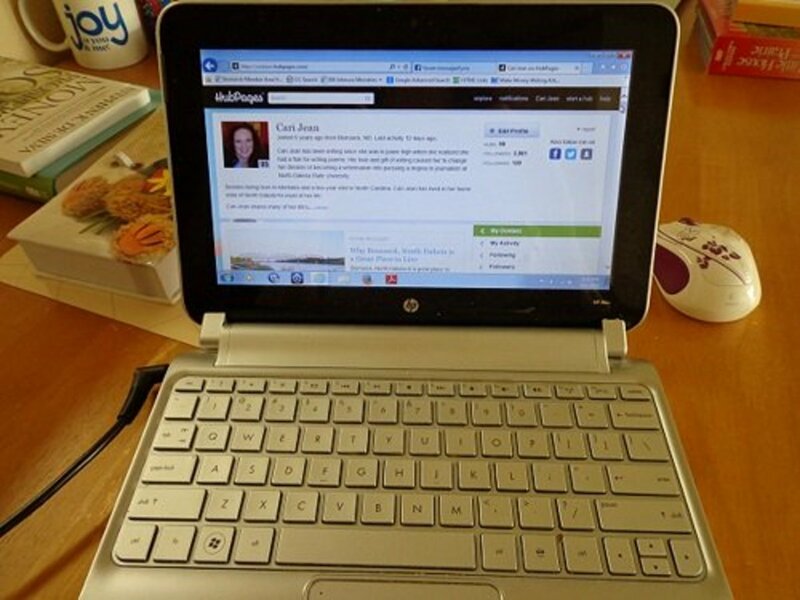 The formatting I described in this article applies to hard copy books and pocketbooks. 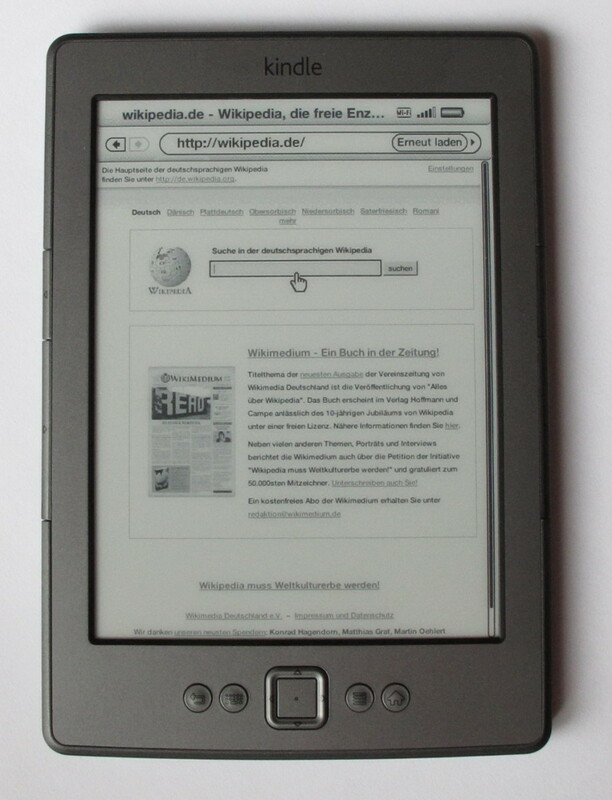 The format for e-books does not require page counts or spine margin parameters, so there is a difference. However, the other rules still apply, such as the format for the copyright page, titling, etc. Val - I'm using MS Word for Mac 2011 Version 14.4.4. However, it has the same exact features and options that I used to have on a PC with Word 2007. Thank you very much for this article. It is the most helpful one I have found. Would you tell me what version of Word you are using in these examples, please? S Underhill - KDP is focused on publishing for distribution by Amazon. Since you only want the book for your own purchase and not place it on the market, I would recommend using Lulu. They let you do it just for yourself. You can skip the option of adding an ISBN number and leave the book in your account for your own purchase. Very informative article. I am trying to create a book from my late father-in-law's memoirs but for family only. I do not wish to "publish", distribute or sell this at all, I don't even want an ISBN assigned to it. I plan on printing several copies for family members as a gift and that's it. What print-on-demand tool would you recommend? Amazon's Create Space has been renamed to Kindle Direct Publishing and now combines tools for publishing both Kindle and paperback books. I updated this article to reflect on this change. Joe Keane - Since I'm in the U.S. I don't know what the shipping costs are to Ireland. Look for the "Kindle Direct Publishing (KDP) Community" where you might be able to find authors in Ireland who can answer your question. It's possible that it's printed and shipped locally as POD books are handled. I see that this is a US website, so would shipping costs to Ireland (where I reside ) be enormous, as I purchased my self published books in various quantities? This is a pity, because, thanks to your easy to read website, I was beginning understand the technical terms with a greater degree of clarity. But, never mind it is an interesting experience in any event! Joe Keane - You can publish either as a paperback book or as an ebook for Kindle. When you create your account you will see what options you have available. The platform has a tool to create your cover. You will be able to superimpose the title as you has asked. I will be updating this article in the next few days to reflect the changes that Amazon has made to the platform. Check back in a week for that update. Even as a cyber illiterate ( almost) I found your article so easy to comprehend. Nevertheless, there are of of course questions that I need to ask. I have an apple iPad and I use the ‘pages’ app. 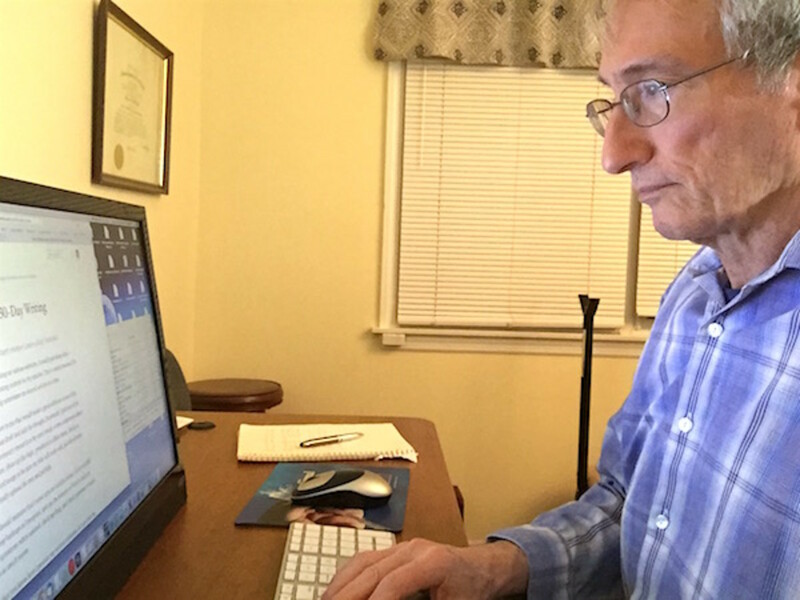 I have written 65,000 words approx., memoirs including travels and social history.I was hoping to self publish 200 soft cover books, mainly for family and close friends. I do not have a wide network of acquaintances. I am a pensioner and need to budget. Are ebooks a possibility also and how is it accessed? I have engaged a proof reader. I can design front cover myself. A local scene which I will photograph, then copy using acrylics and finally photograph the painting. Finish work will be a photograph. I don’t know at this stage how to superimpose the title. I am sorry for going on so much, but I am largely in the dark. I am 77, so that explains it. I suppose I am not looking for the perfect result, just a finished work that won’t look garish. Selling books is not something is important as I do not have the means of doing it. Duane Howard - Photos can be imbedded anywhere in your book. If you want color images then you need to select publishing all the pages of your book in color, which is more expensive than just black and white printing. Can photos be imbedded at the end of selective chapters? greenpete - The section breaks always make it difficult to assign formatting across the entire document. But they serve a purpose, especially when you want different subtitles in headers or footers in each chapter (section). As for controlling the display of the page numbers, I was able to shut off the display on a section by section bases, but not on specific pages. So if you want to do that, you need to include section breaks. Thanks Glenn. Yes, the "flipping" problem disappeared when I viewed in Side by Side mode. I think my margins are now ok. Problem now is pagination (headers and footers). I'm using Roman numerals in the front matter, BUT only for a few pages. Then regular numbers starting at page one of first chapter, BUT not for my section title pages and blanks. So my issue is getting the numbers on both odd and even pages, and in sequential order, and turning them off on certain pages. I've messed with "Link to Previous," "Different First Page," and "Different Odd & Even Pages," but still have trouble. Could it be related to my Section Breaks or Page Breaks? GreenPete - I remember having the same problem. As I recall, I ended up repeating the setting for each section (chapter) with one of my books. But you can override the default by specifying "Apply to Whole Document" and then you only need to do it once. You do want the odd and even pages to have the margins flip back and forth because you want the larger margin to always be near the spine, especially for a thick book. Hi Glenn. I just applied margins to my book manuscript, same as you above. But it's defaulting to "Apply to This Section" rather than "Apply to Whole Document" in the Margins, Paper, and Layout tabs. Then when I scroll through the manuscript, the odd and even pages are switching back and forth! Is it because I currently use Section Break / Next Page throughout my whole book (in the front matter, before and after blanks, and after every chapter)? Thanks. Thanks Glenn!! Appreciate your help! Sherry, The best font for printed books is "Times New Roman" 12px. The Chapter Headings can be bigger and with a different font if you prefer. Keep it simple. Don't use too many different fonts. One for content and one for headings is all you need. If you include a header and footer, you might use a third font for that. I like to use "Arial" for that since it's better for smaller text. Sherry, The best style for a printed book is based on what kind of book it is. Do you have pictures? Do you need color pages? Is it used as a textbook or as a paperback for reading a story? All these things matter and affect the kind of spine you want and the cost. I recommend you read the "Free Publishing Resources" (click the tab on top in Amazon's Create Space). They have a lot of helpful info there that will answer all your questions. Tommy, Do a Google search for “word 2007 table of contents formatting” and you’ll find a lot of info on doing it right. Been following your page layout and I have been unable to doubleside on word 2007 to put the copyright info, and also, the table of contents is eluding me. Thanks for the great info. I If I ever finish I will be using createspace. Yes, I prefer Create Space. The only problem is you can't get royalties paid to an Australian bank account or PayPal. Jonah - Yes, Lulu appends all the files together. It's odd that the delete didn't get rid of them. I remember an issue I had with files on Lulu. I found an old version of my book in Google SERPs that I had deleted from my Lulu account. I had a lot of trouble getting them to remove that file so Google wouldn't show it in SERPs. It was a work file and should never have been available for Google to find, let alone index. I started using CreateSpace for another book after Lulu messed up a few times. Yes, Glenn maybe you are right, though I deleted the old files after I uploaded the new ones....but every time I went back to check the old ones were still there as well. Weird. Jonah - It seems that you were appending to the original every time you uploaded a new version, instead of deleting the old one. That's why your book kept increasing in size. I'm sure it has nothing to do with the fact that you were uploading files for a printed version. I actually published mine the other way around. I completed and published the paperback first. Then I converted it to HTML for upload to Amazon for the Kindle. I am an HTML programmer so I guess I had an advantage. I know they do formatting for the Kindle automatically. I tried it, but I didn't like the way the format turns out when you trust it to an automated process. There is some very helpful information here, Glenn. I published an eBook with Lulu, but never went as far as doing the hard copy because I wasn't completely happy with the formatting even though I redid it a number of times. Also each time I resubmitted new files to replace the other copy it just added to the page count so a book that originally had 170 pages was showing as having 480 in the description. 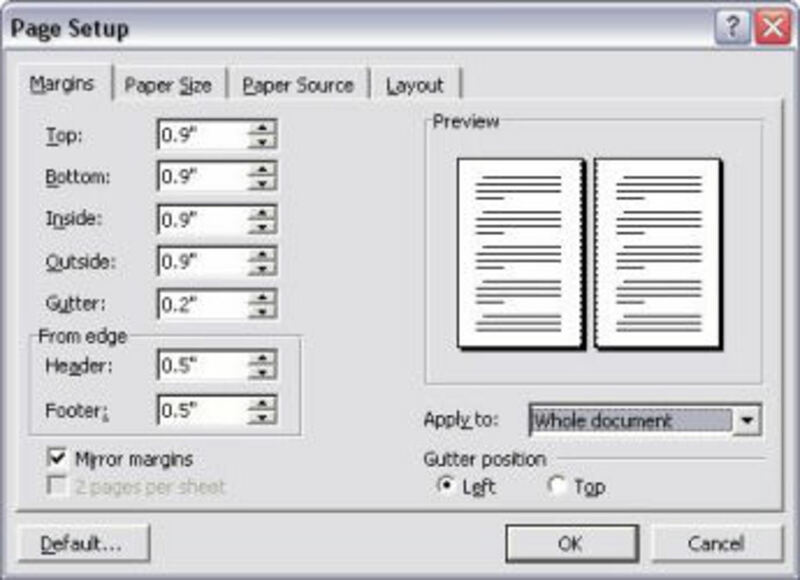 Your advice regarding the set out, margins etc with word is really useful. Donna - That's another advantage with Create Space. The cost for extended distribution is less than what Lulu charges. I also like how their preview works online. With Lulu, I kept buying a proof copy several times until I got all the formatting done to my satisfaction. On Create Space I used the online previewer and only ordered one proof copy just before publishing. 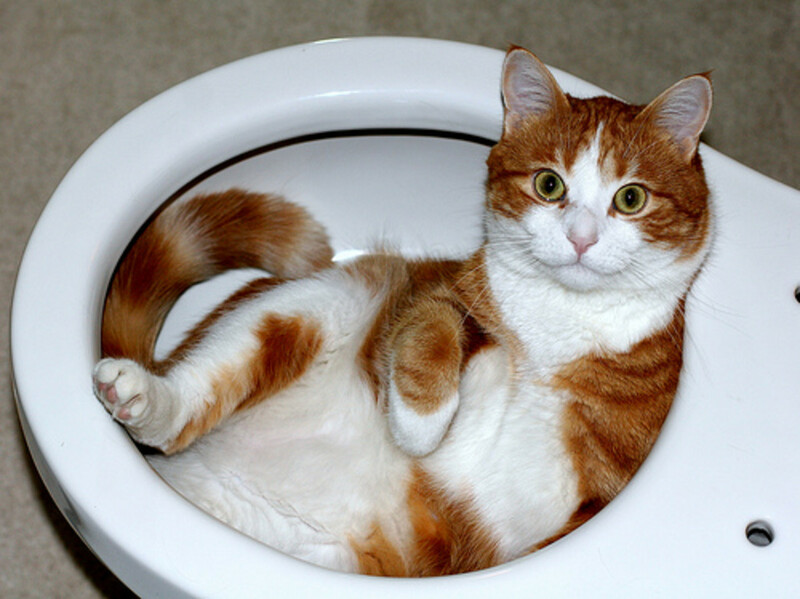 I found Create Space very user friendly. I paid the $25 to have it listed with the distributors. I also bought an image from Shutterstock for my cover, that was all my initial upfront money. The image was $19. I am very happy with its looks, but did have some things that needed redoing b/c of my Word formating, but got it all done by trial and error. Your article answered some questions I had. Donna - I have also published two books with Create Space recently. I had a better experience with them. Create Space has better printing costs (leaving more towards royalties) and they pay more attention to customer service. They also make it easier to convert your book to the Kindle. The info in this Hub about formatting with Word applies to Create Space too. I used the same DOC file with no changes to publish one of my books on CS that was originally done with Lulu. Good information. I have recently SP a book using Create Space and some of your info on using Word will make the next one go smoother. Thanks! Stillwaters, I discovered the same thing about finding it easier to detect errors in a book rather than on a computer screen. For that reason I ordered one copy of my book to review and correct errors, and then I again ordered another copy to find remaining errors. I actually went through this process several times before I finally decided to publish it. Thanks for your comment and for reading my hub. Hi, Glenn. I also like Lulu. The funny thing is, I find more errors in a book in my hand than I do on a computer screen. But, the cost of ordering my own copies is much cheaper than a publisher. I've received a letter from a publisher after registering with the Library of Congress for my copyright. This particular publisher, I learned, through a search, charges $7,000 to publish the first 1,000 copies. Your hub is on target. MarleneWheeler ~ Don't rule out the publisher who charges $500. Check to see what you get for it. If that goes towards printing a hundred books or if they do promotional work for you, then it may be worth it. Keep in mind that with Lulu you are on your own. They don't promote your book. Good luck with your book. Keep on working on it. Sue Adams ~ I have a lot of old writing I've done that is sitting around too. By all means, get it out and finish it off. You'll be glad for the accomplishment. As for mine, I don't sell many at all since I'm not running around doing book signings. That's really the only way to get book stores to carry it. But a few online orders keep happening and it's nice getting a small check from Lulu every three months. barryrutherford ~ You're welcome. Glad you found this useful. I also wanted to ask: Do you sell many of your self published books? Excellent, this was just what I was looking for. I almost signed up with an internet publishing company who wanted $500 just to get started. Now I can move forward instead of putting my book on hold. Thank you, keep up the good work. Jim ~ You're welcome. Glad to help. Keep up the good work. Deepunetfish ~ Thanks for the vote up. lokoyizone ~ You can have a minimum of 32 pages in a 6x9 book. Thanks for the question. I'll add that extra info to the Hub. Other sizes vary. Thanks for the vote up. Very beautiful and useful points. Voted up and useful. But what is the minimum number of pages for a book to be considered for publication? Couldn't have been inspired to do so, if it weren't for receiving all of that motivation received from reading your article. Just got off of the lulu.com website and entered in my title and author name. Just have now to put some time aside, to set up MS word and start chipping away on the chapters. Again thanks for all of the mentoring. Later!